The Port Authority of the Bay of Algeciras (APBA) has signed a Memorandum of Understanding with IBM to join the TradeLens blockchain platform, according to Europa Press. The Port is situated on the Bay of Gibraltar. It’s the Spanish port closest to Morocco and has the shortest crossing distance between Africa and Europe. Valencia is already a network member.TradeLens is the platform launched by IBM and Maersk to digitize container shipping. TradeLens launched six months ago and became fully commercially available in December. At that stage, it revealed it has more than 60 network members. These include four container shipping carriers, three inland carriers, 40 ports and terminals and eight customs authorities. But the logistics sector is fiercely competitive, and some believe the challenge of bringing all parties together is immense. The TradeLens website addresses some of these concerns head-on. It emphasizes that Maersk’s involvement with TradeLens lives in a separate subsidiary. “Maersk business units including Maersk Line, Hamburg-Sud, APMT, and Damco participate on the same terms as other participants with no special treatment or access to competitor data,” says the website. Also, Maersk and IBM haven’t created a formal joint venture. Instead, parties who wish to participate in TradeLens contract with one or the other. Hence the two companies have separate sales teams for TradeLens. Despite being led by two massive names like IBM and Maersk, TradeLens is starting to face serious competition. 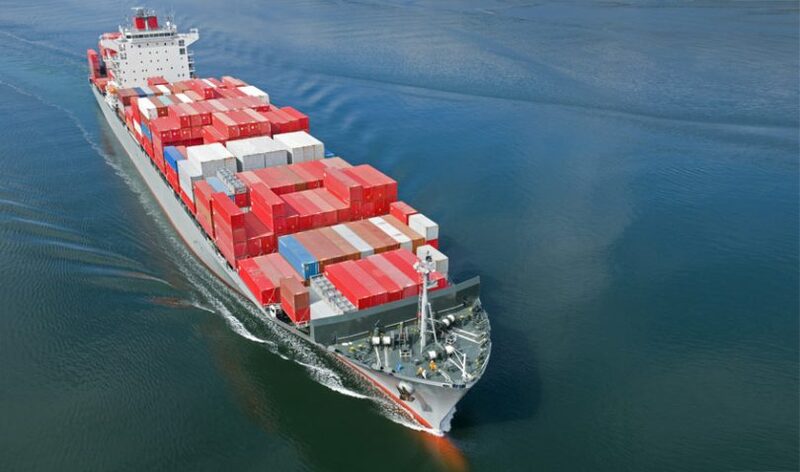 Two months ago CargoSmart announced a blockchain platform that includes five of the largest ten container carriers: CMA CGM, COSCO SHIPPING Lines, Evergreen Marine, OOCL, and Yang Ming. Their combined market share is greater than that of TradeLens. Kuehne + Nagel, the biggest shipping freight forwarder in the world, is working on a blockchain project with Accenture. And in Singapore, the Open Trade Blockchain launched six months ago. That’s not to mention sector-specific initiatives such as the ABCCD consortium created by some of the largest agribusiness companies and VAKT for the energy sector.